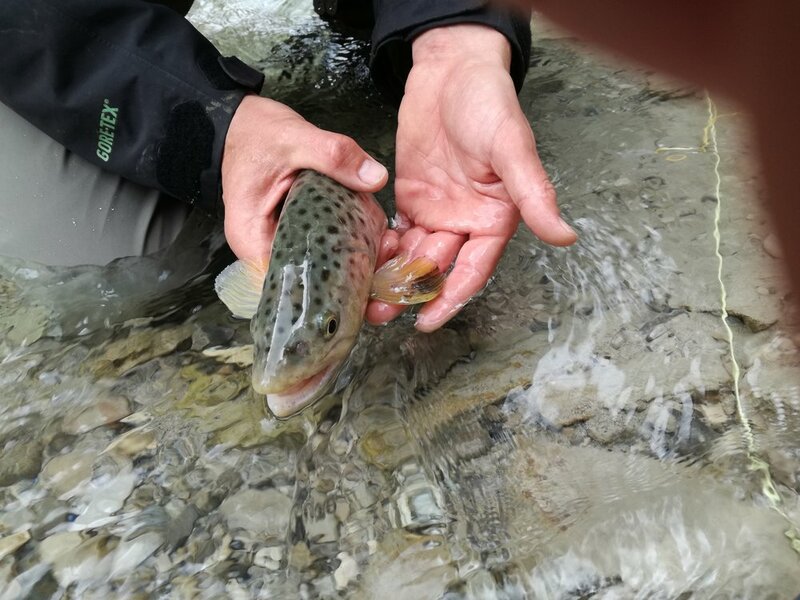 One of Austria’s purest fly-fishing experiences, the Riβbach runs through the Naturepark Hinterriß has recently opened for sustainable fly-fishing. A large, natural stock of native brown trout offers ideal fly-fishing for hunting wild fish. The main river offers 36 km of fishing, providing you a diverse experience, and is surrounded by a beautiful landscape. Licenses are exclusively available from Martin Schoissengeier from Fliegenfischen mit Herz and can also be purchased directly from Hejfish. Martin would also be happy to arrange personal guided trips or fly fishing courses at the river. Comfortable lodging is available at the nearby Gasthof zur Post. Brown trout, rainbow trout, char.